Science in Sport Premier is a special subscription we offer to our UK customers. It gives you unlimited UK Next Day Delivery for a full year, on any size order - for a one off payment of just £9.99! Once you've subscribed to Premier (details on how to do that below) you'll notice a new delivery option appear in the checkout for your next orders, called "Free Premier Next Day Delivery". All you have to do is select that option when you checkout - it will even be auto-selected in most cases. You'll then be sent your order as per the standard delivery timeframes for all of our Next Day Deliveries, shown below as a reminder. Weekdays:Orders placed before 7pm will be delivered the next day - including on Saturdays (For example if you order at 6.45pm on a Tuesday, you'll receive your delivery on Wednesday). Sounds great, how do I subscribe? It couldn't be simpler - select the 'Add to Basket' button above and check out as normal. You will be prompted to create an account during checkout and free next day delivery will be automatically selected. Science in Sport Premier is valid for 12 months. Simply log into your account and you'll find a progress bar under the heading "SiS Premier" on your Account Dashboard. If you can't find it or are still unclear, our friendly customer service team are always on hand to help. At the moment we can only offer Science in Sport Premier within the UK. Most of the UK is covered, but unfortunately the following postcodes are excluded: AB31-56, BF (all), BT (all), CA, DD, DG, EH, FK17-21, G83, GY (all), HS (all), HU 11-12, IM (all), IV (all), JE (All), KA27-28, KW (all), PA20-80, PH15-PH50, TD, TR21-25, ZE (all). Additionally, we can only guarantee next day delivery to private addresses, not business addresses. In these cases, delivery may take an additional day. Our Full Terms and Conditions for Science in Sport Premier are detailed below. 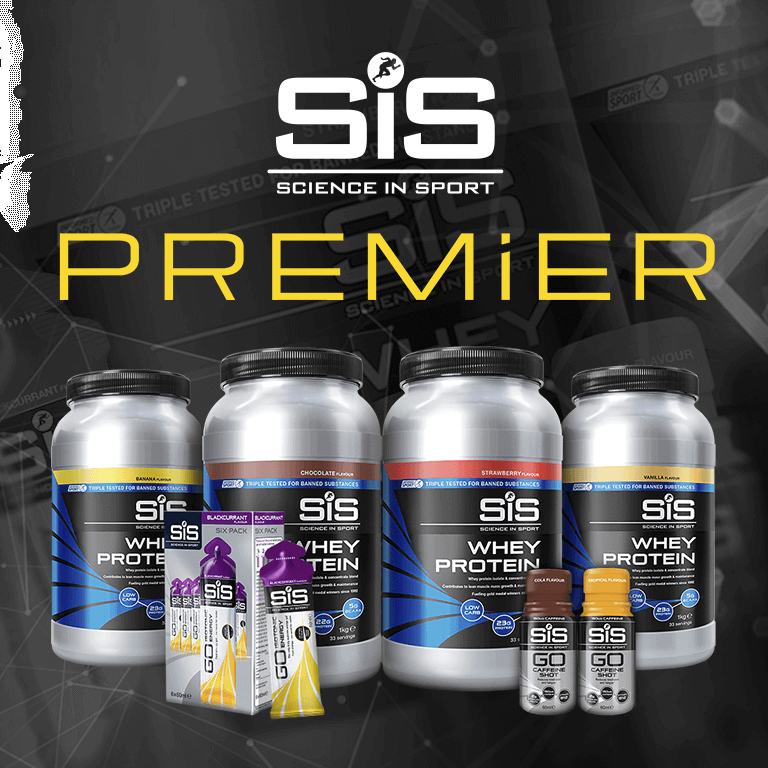 •When you join Science in Sport Premier your membership is valid for a 12 month period. You need a registered customer account on www.scienceinsport.com to subscribe. •Once 2 or more eligible purchases have been made your membership cannot be cancelled. •Science in Sport Premier is only available for delivery to residential (not business/education) UK addresses (excluding these postcodes: AB31-56, BF (all), BT (all), CA, DD, DG, EH, FK17-21, G83, GY (all), HS (all), HU 11-12, IM (all), IV (all), JE (All), KA27-28, KW (all), PA20-80, PH15-PH50, TD, TR21-25, ZE (all)) and entitles you to free Next-Day Delivery (delivery is on the next day (Monday-Sunday) if ordered before 19:00 (Monday-Friday) and before 13:30 (Saturday-Sunday)). Delivery is excluded on Public Holidays. •There is no limit on how many times you can order during your subscription period. •Free next day delivery is not valid in conjunction with free product promotions. Science In Sport reserve the right to cancel orders of this nature without notification. •Early access to new products will be granted to active SiS Premier subscribers who are also subscribed to the email newsletter. •It is your responsibility to ensure you use SiS Premier in accordance with the terms and conditions. Any breach will result in the termination of your membership and no refund will be given. •Science In Sport reserves the right to accept or refuse membership and to change any terms and conditions at our discretion. •You will be informed of any significant changes to these terms and conditions. All other Science In Sport terms and conditions apply. •SiS Premier is for personal use only and is not available for customers who purchase goods for business, re-sale or wholesale purposes.